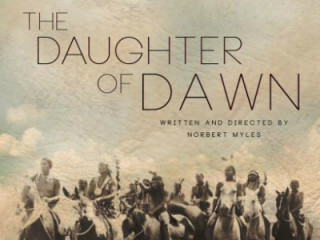 The Texas Archive of the Moving Image and the Austin Film Society are hosting the Texas premiere of The Daughter of Dawn. According to AFS, the 1920 film played in a few cities before disappearing for over eight decades. A fire at the Texas Film Company had apparently destroyed all copies and materials related to the film, however a nitrate print was discovered and eventually restored. This Texas production stars an entirely Native American cast of Kiowas and Comanches, including White Parker and Wanada Parker, the son and daughter of legendary Comanche war Chief Quanah Parker. Following the screening will be presentations by Dr. Caroline Frick, the founder and director of the Texas Archive of the Moving Image, and Dr. Janna Jones, a professor at Northern Arizona University. This event is made possible in part by a Humanities Texas grant.